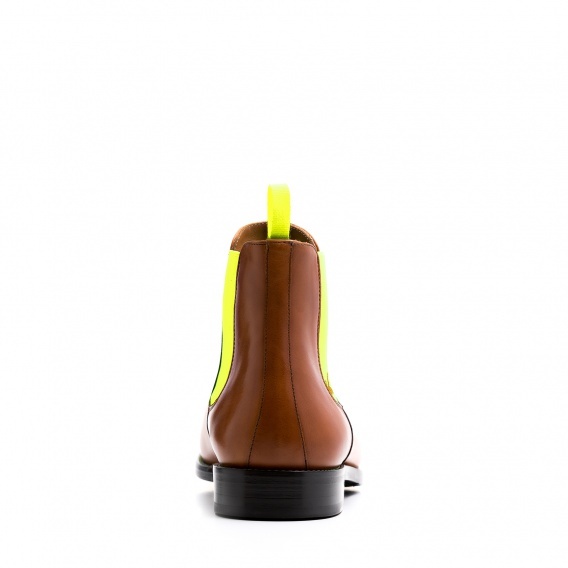 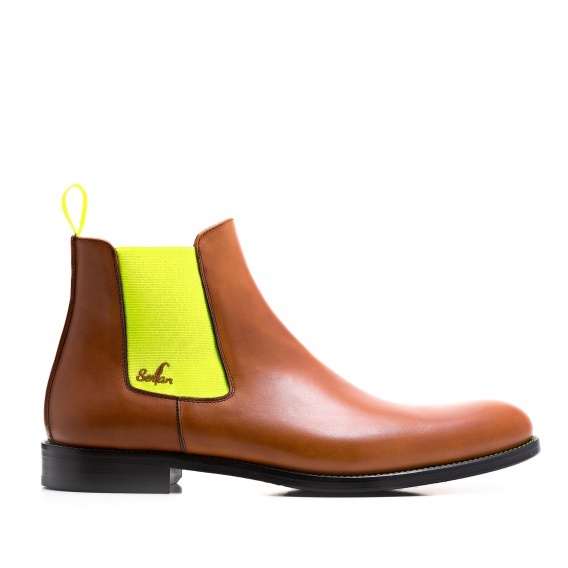 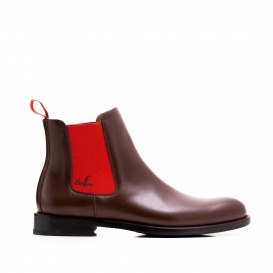 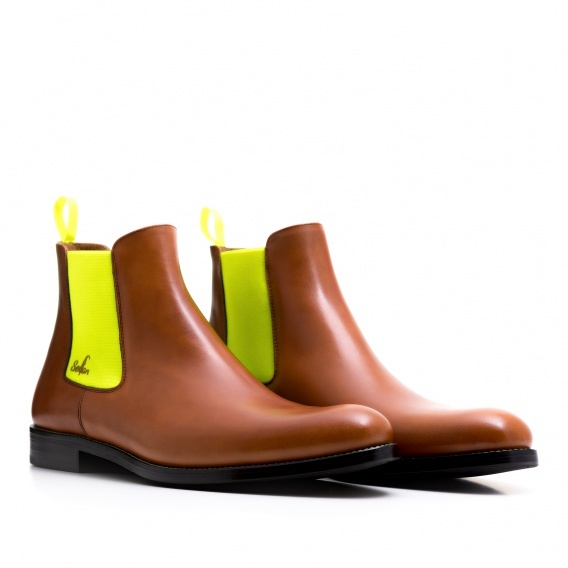 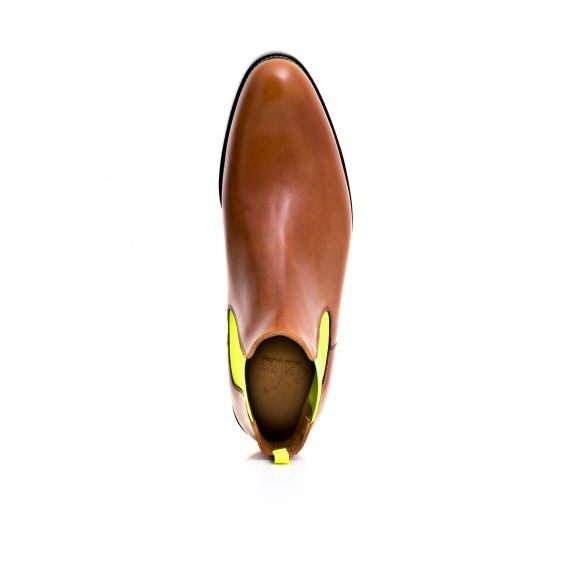 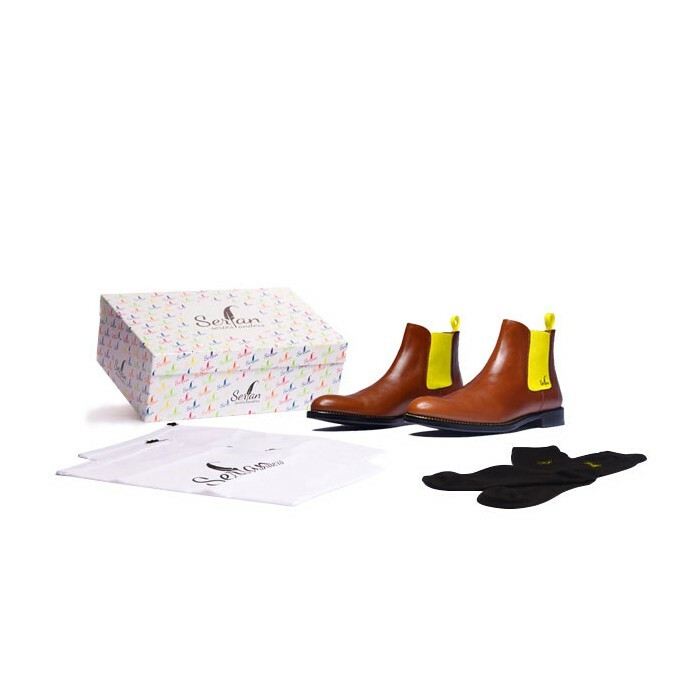 The cognac-yellow Chelsea Boot brings joy to the daily life of its wearer. 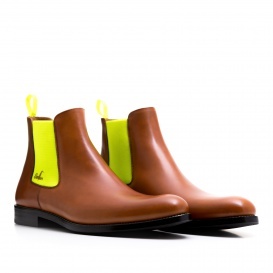 The combination of cognac and yellow fits perfectly together. 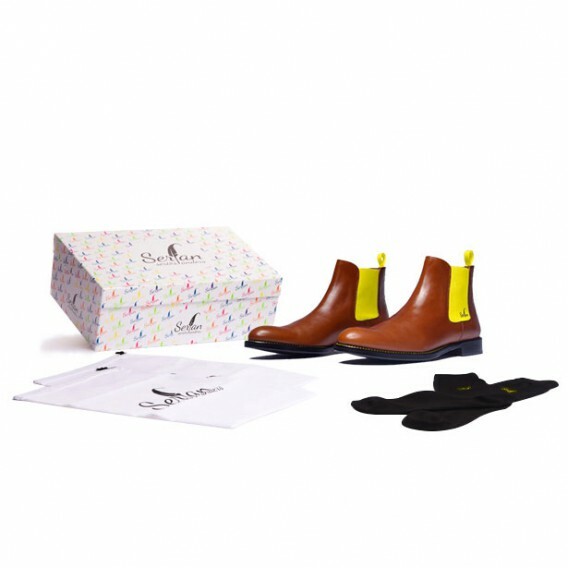 Our sunny model adds happiness to every sad day. 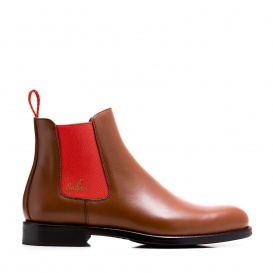 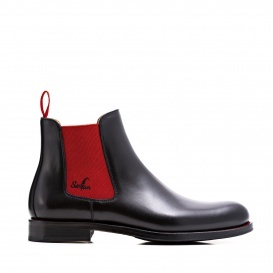 Typically for the Chelsea Boot are the elastic bands on both sides of the boot which provide a perfect fit and offer a high wearing comfort. 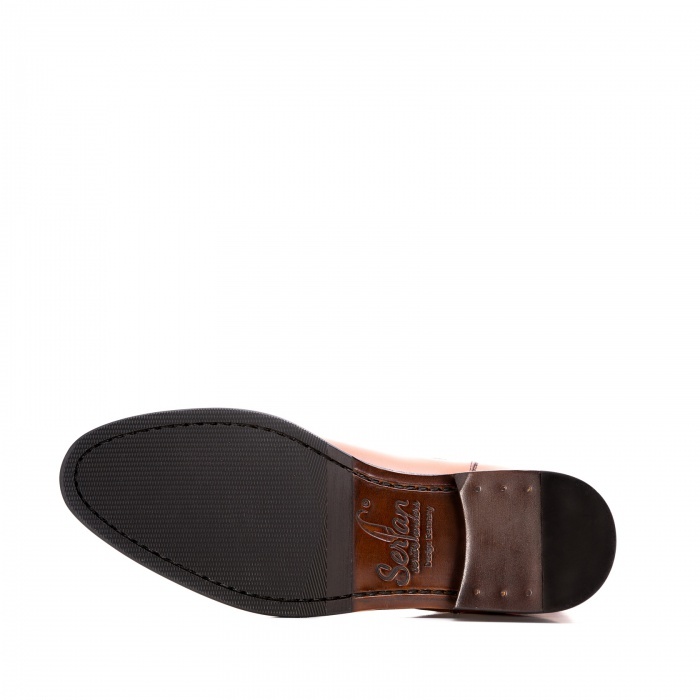 Combine this shoe with a dark-blue chino and a slim blazer – and you are ready for your next business meeting!